The hustle and bustle of the holiday season can take a toll on anyone. The large crowds, traffic jams, last minute shopping, office parties and let’s not forget the in-laws…all of these factors can make it easy for us to feel stressed and overwhelmed. The holiday season should be a festive and reflective time of the year. It’s a time to enjoy the company of family and friends without feeling depleted and flustered. That’s why we’ve rounded up these 5 top tips to help you dodge the holiday blues and stay happy, healthy, and energized this season. Take an hour a day to recharge your body and spirit. Go for a walk, read a book, take a nap or schedule a massage or facial. 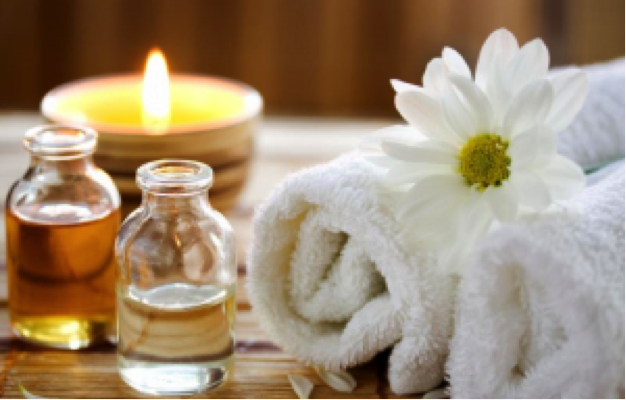 We have several treatments and services at The Graivier Center that will help you relax and rejuvenate. What better time to turn your gadgets off than during a holiday get-together? Enjoy spending time with your family and friends without worry. It may be the last thing you feel like doing when you’re stressed out, but going for a run or hitting the gym can actually make you feel better. If you’re feeling stressed and overwhelmed by all the items you need to get done, divide up your list and ask others for their help. Remember this is the season for giving. Stop obsessing over doing it all. The world is not going to end if the house is a little cluttered or dinner is on the table a few minutes late. Enjoy spending time with your family and friends without worry.